I created The Weekly Wine Journal in November of 2009 out of a passion for wine and writing. The initial inspiration and motivation came as a result of seeing Gary Vaynerchuk speak at an event in Mesa, Arizona. Gary was out on his Crush it! promotion tour and he spoke passionately about why now is the time to “cash in on your passion” and why now, more than any other time it is easier to do so. So I quickly went out and registered http://www.weeklywinejournal.com which I was quite surprised to see still available. I created a Facebook fan page, a Twitter account, a Tumblr page and a YouTube Channel and started blogging! January 2010: In January I organized my first wine Tweetup. It was held at Scottsdale’s fabulous FnB Restaurant. Special guests included Ty Largo, Colleen Chase and fellow wine blogger Josh Wade. Josh had come down from his base of operations in Spokane to run in the PF Chang’s marathon. Josh started his blog at virtually the same time as I did, and we became fast friends. Happy birthday to Drink Nectar by the way! Sam Pillsbury, from Pillsbury Wine Company and Greg Graziano from the Graziano Family of wines. Also Sandy Wasserman made his big screen debut in an interview with Greg. Also in February I travelled to Vancouver British Columbia to catch some Olympic hockey action. While I was there I visited the Salt Tasting Room and was treated to some excellent wines of British Columbia. 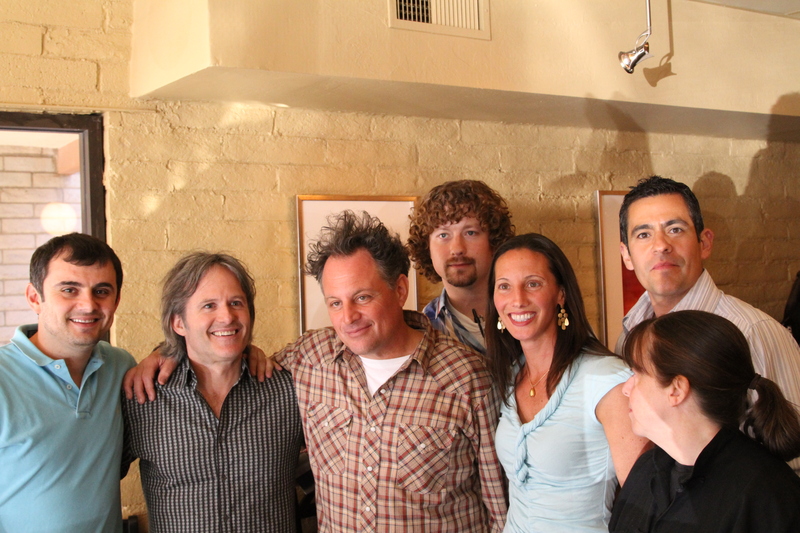 March 2010: In march I met Robert and Louisa Lindquist of Qupe wines and Brian Loring of Loring Wine company. Brian was really a funny guy, he had me laughing out loud with some of his off the cuff remarks. Also in March I was introduced to two interesting businesses. 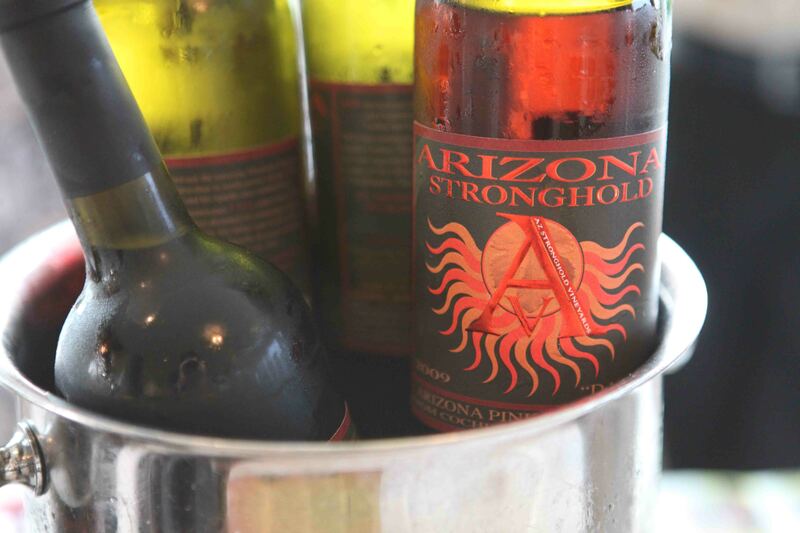 First is AZ Wine company on Scottsdale Road. Great group of people including Ray the owner. They allowed me to sit in on wine tastings free of charge, which helped me to review wines and meet wine makers! Also I was introduced to Michael at The Chef’s Loft by my friend and sommelier Lizbeth Congiusti. 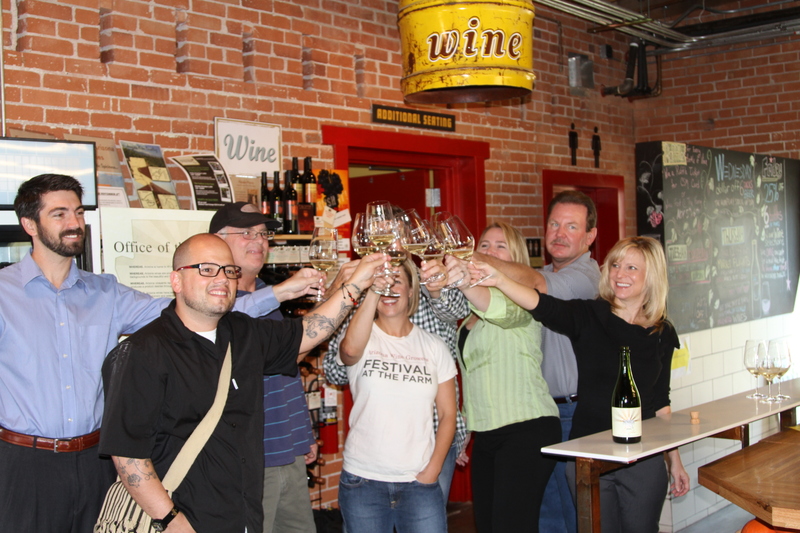 The month of March ended with a trip to the Tempe Festival of the arts Arizona wine tasting. At this event I met Rhonni Moffitt, executive director of the Arizona Wine Grower’s Association and she introduced me to ALL the wine makers at the event! 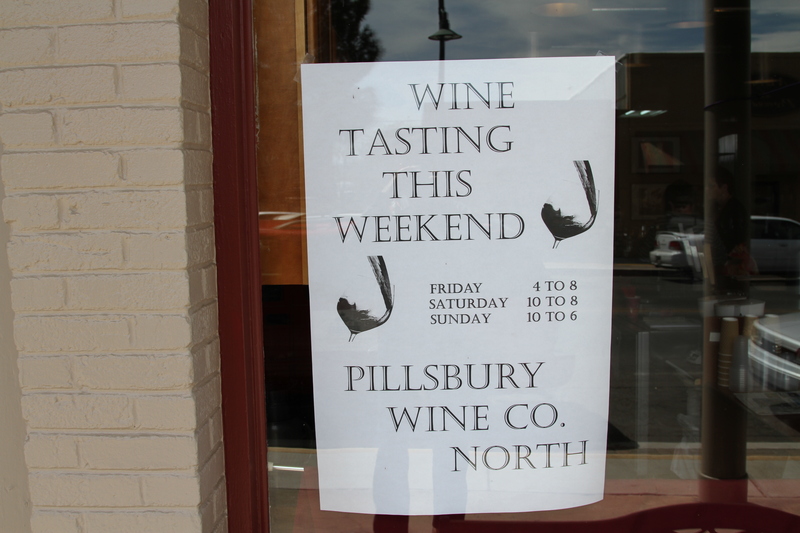 April 2010: In April I took a road trip up to Cottonwood and Jerome and met up with Sam Pillsbury at his brand new tasting room. May 2010: In May my friend Susie Timm introduced me to Dave Johnson, sommelier at Oakville Grocery at Kierland. Dave is a warm and friendly guy who really knows his wines and is a great story teller. At the end of May I took a trip to San Diego and visited the Hotel Del Coronado. 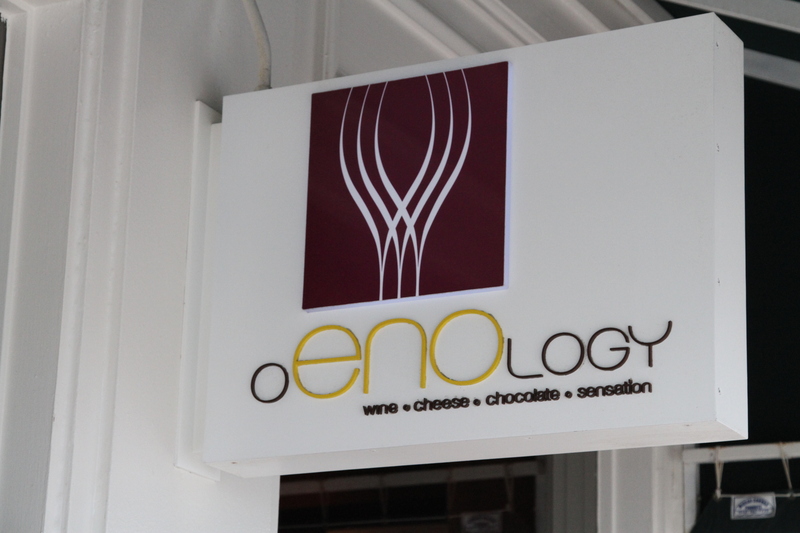 At the hotel Del I found a cool little wine bar called oENOlogy and was treated to some fantastic wine and cheese pairings. June 2010: June was a huge month. 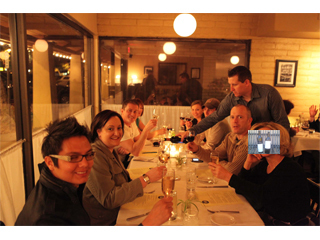 The Judgment of Arizona wine competition was held at FnB restaurant. I was granted 1 of only 2 non traditional media passes by the the organizers and after the competition I was invited to have dinner with Gary Vaynerchuk. At this point I was starting realize that if you put your mind to it, good things will happen. It was almost surreal, sitting there thinking, wow just last fall I was sitting in the audience and now I’m sitting right next to Gary! Also in June was the BIG wine tweetup. This event was pretty big, there must have been at least 30 people in attendance. One of the guests was Seattle Wine Gal. It was cool to meet one of the other big players in the Washington State Wine scene. for me but I did manage to take another trip up the mountain to Jerome and visit with John McLoughlin of Bitter Creek Winery to take a look at his new releases. 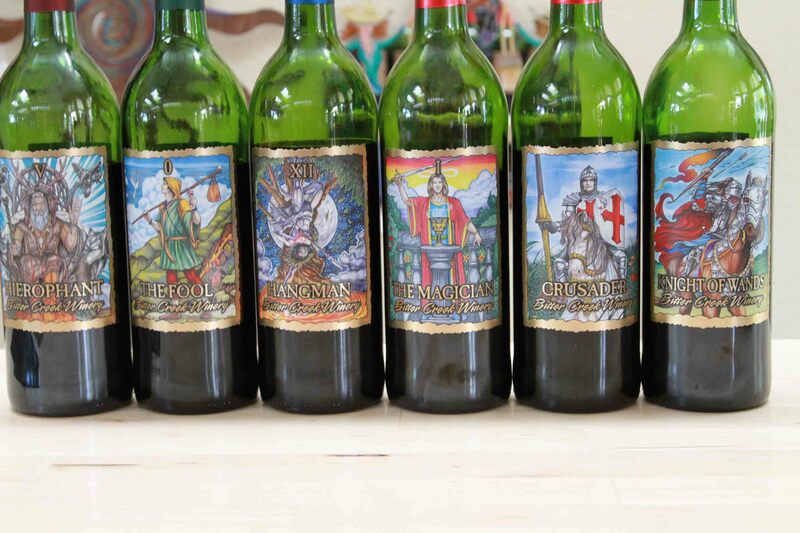 He released 9 new wines all with really interesting tarot card labels. tasting which was a very interesting cross promotion. At this event I meet pro blogger Stephanie Quilao who had some helpful suggestions. I also met Jeff Hecht and Molly Maguth who are crushing it in the PR world, they would go on to hook me up with Paula Woolsey, national sales manager for Arizona Stronghold. 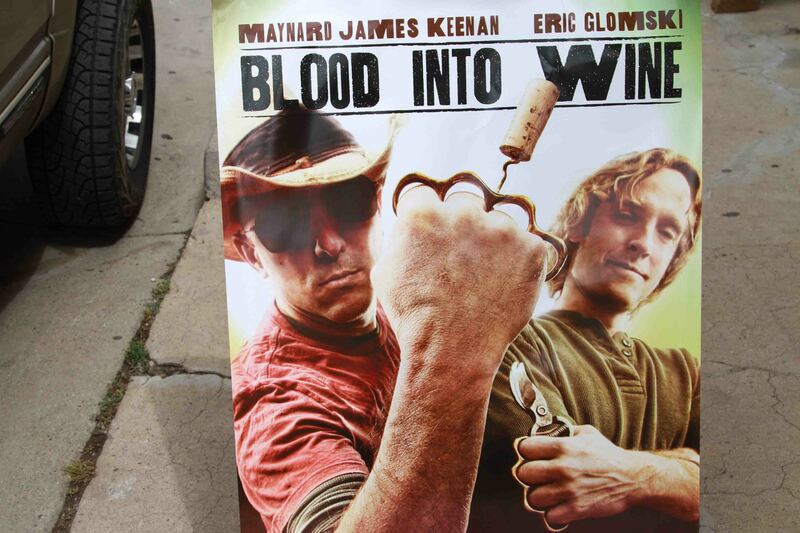 Paula invited me up to Jerome for a showing of the movie Blood into Wine and to get a chance to participate in a little Q&A with non other than Mr Maynard James Keenan. August also saw the highest page views in a single day which coincidently happened to also be on my birthday! 1,076 page views in 24 hours occurred when the Weekly Wine Journal was featured on the WordPress homepage for the article on the new Winematch Wheel. September 2010: Legendary Napa Valley wine maker Robert Craig visited Arizona in September and I was lucky enough to be invited to dine with him at Bistro Laurent Tourondel. My friends said that I had a man crush on Mr Craig and I said yea, well have you tried his wines!? 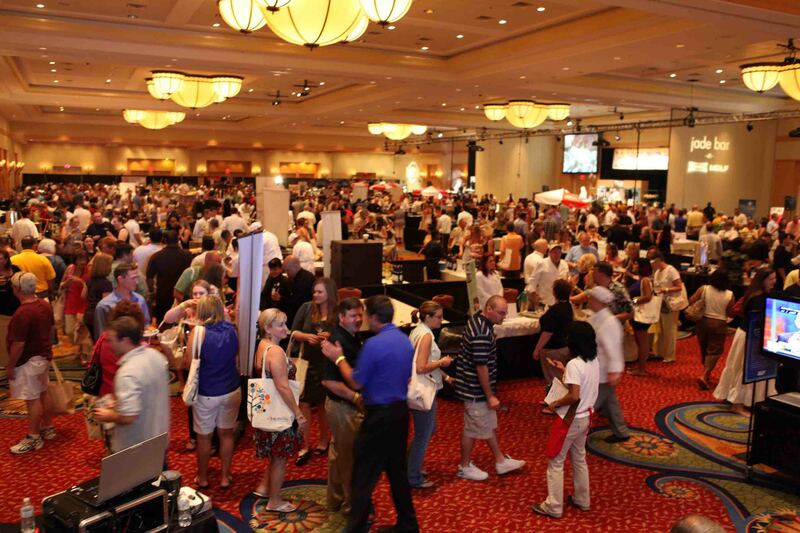 Also in September I poured wine at the Arizona Wine Grower’s Association booth at Phoenix Cooks! The event was held at the JW Marriott at Desert Ridge and featured the most amazing foods. On Labor Day weekend I travelled up to Page Springs Cellars for their annual fall harvest party. And what a party it was! Thanks to Rhonni and Josh Moffit for keeping me out of serious trouble… Also at this event I met up with wine maker Eric Glomski. Also in September I took a trip to San Antonio, Texas. 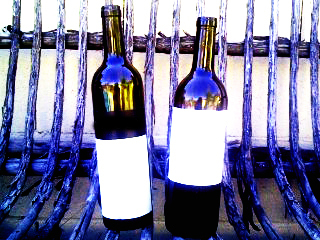 While there I tried out a Viognier by Texas’s very own Becker Vineyards, and I liked it! October 2010: In October I must have gained 10 pounds! I was treated to fine dining at both Morton’s and Flemings steakhouses and previewed the menu at the Biltmore’s new Seasons 52 restaurant. The Morton’s event was in conjunction with the Make A Wish foundation and featured some amazing wines from the Mondavi Family including the 97 point $200 a bottle “Continuum”. The Flemings event was part of their “Women & Wine” series and featured wines by Corison, Konig and Franciscan. Also in October I attended a preview of the Society of Wine Educators certified wine expert examination and learned how much there really is to learn! And I inadvertently poured out some of the wine samples trying to help with clearing out the old samples! Doh! 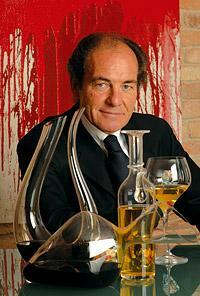 Last but not least I met Georg Riedel, 10th generation glass master. And I managed to mispronounce his name while shaking his hand. It is pronounced Reedl not R eye del. After attending Mr Riedel’s fascinating seminar on stemware I am now a fanatical believer in using the correct stemware and use the Riedel Vitis series. 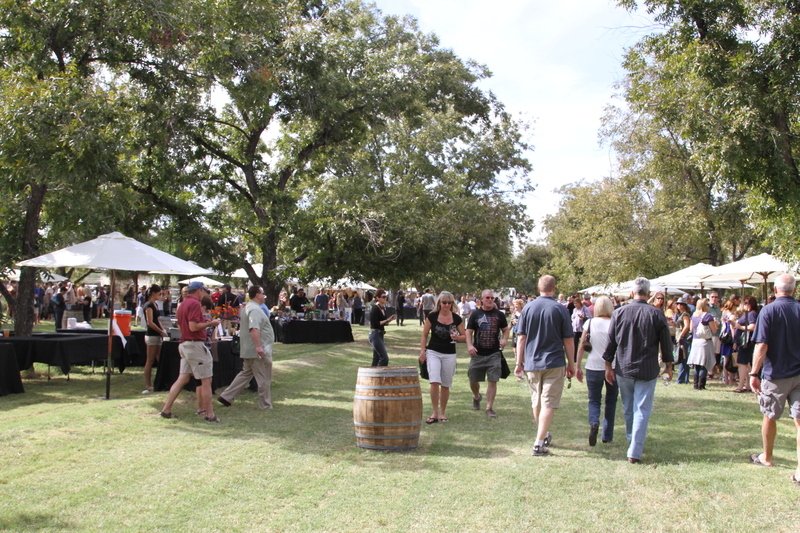 November 2010: My first year of blogging came full circle with the Arizona Wine festival on the farm. I had started my blog in ’09 a just a week before the festival and so there wasn’t enough time to prepare for the event, to meet the right people and I didn’t even have $65 to afford a ticket, so I missed it. Well a year later I was invited as a guest to both the VIP event on the Friday night as well as the Festival on the Saturday. I even got a special “media” badge to wear around me neck!! November turned out to be the best month of the year in terms of traffic thanks in large part to Maynard Keenan of Caduceus cellars linking my articles on his twitter account. A nice feather in my cap was when the Weekly Wine Journal turned out to be the only media outlet that bothered to show up for the Governor’s declaration of Arizona Wine Week. Whats up with that?? Also in November I had a chance to sit down with Nicki Pruss, winemaker for the legendary Stag’s Leap Wine Cellars..imagine that – little ol me sitting down with the winemaker of a $185,000,000 winery! December 2010: December’s highlight was a 1,700 mile road trip from Phoenix to Vancouver, British Columbia. While up in Vancouver I had a chance to try out quite a few wines of British Columbia. 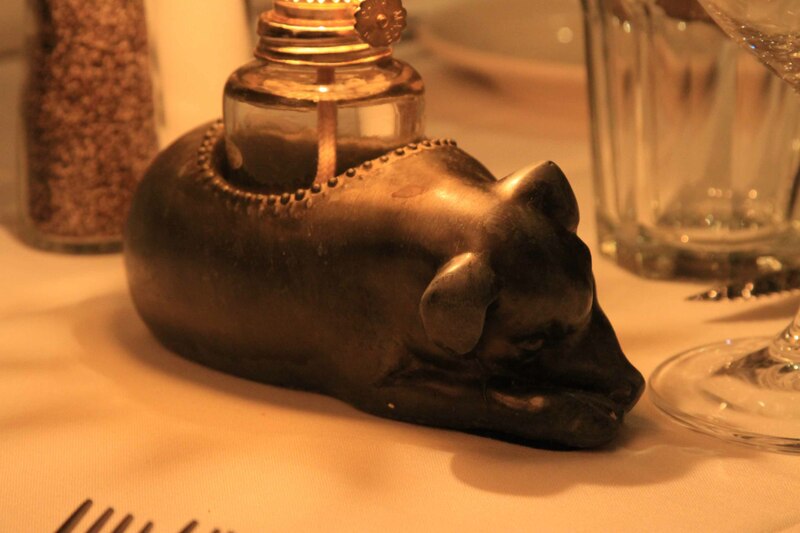 I dined at Jule’s Casual French Bistro and visited Salt Tasting Room again…wine reviews to follow! I also want to take a moment to mention the guest writers: Ryan O’Connor, Sandy Wasserman and Brooke Young…thanks for contributing! So there you have it folks, that is some of what I’ve been doing for the past year. I am looking forward to taking this blog to the next level, I am in the process of laying the ground work for that to occur. Look for some big changes in mid 2011.